STG Design is very proud to announce that our very own, Jim Susman has been recognized by his peers and elevated to the highest honor in the profession: American Institute of Architects College of Fellows. This prestigious and unparalleled honor is awarded to AIA members who exemplify architectural excellence and who have made significant contributions to the profession and society. Only three percent of AIA members have this distinction. This year, 152 AIA members and two international architects join the College of Fellows. Jim will be honored at an investiture ceremony at the AIA Conference on Architecture 2018 in New York City. 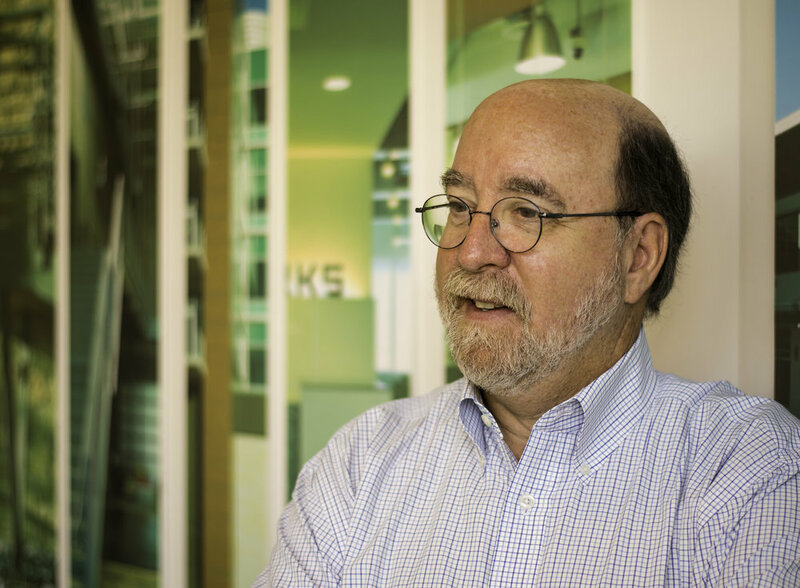 Congratulations, Jim Susman, FAIA! For more than three decades, Jim has been the go-to design professional for Austin’s non-profit groups and community organizations. He brought a holistic view of architecture to Austin’s philanthropic culture to drive and establish stability and seize game-changing project opportunities that enhance lives in our community. His tireless spirit as a volunteer cheerleader, champion, and spokesperson, helped broaden the conventional scope of architectural practice to include advocacy and service, helping community organizations realize their missions through architecture. His philanthropic work began with the Austin Children’s Museum (now the Thinkery) when it was merely a traveling exhibit with a dream of a permanent home. Jim volunteered time in vision sessions, one-on-one meetings with donors, development of capital campaign strategies, town hall meetings with prospective stakeholders, groundbreakings, and ribbon cuttings. This process informed his subsequent work with dozens of other community groups and became the delivery system for philanthropic interests and community services across Austin. Other organizations he has served include St. Andrew’s Episcopal School, the Jewish Community Center, and Community First! Village. He has extended his work by inspiring his STG Design practice to dedicate time to organizations including Boys & Girls Club, Meals on Wheels, and The Refuge. Over the past several years, Jim has leveraged his expertise and the trust of his clients to become a key driver of visionary projects suitable for downtown revitalization in underused sectors of the city. The most notable, the Urban Land Institute (ULI) award-winning conversion of the iconic Seaholm Power Plant into a retail and residential district which was the first to link the city's recreational activities of the riverfront. It is the first residential tower – an office conversion of a building that Susman completed in the 1990s that marked an unprecedented investment in a depressed area. The success of the development has expanded the Central Business District and signaled a shift in the way Austin’s architecture and design culture has evolved and matured in response to the city's growth. Jim is a Principal and the CEO of STG Design, an architecture, interiors, and planning firm with offices in Austin, Houston, and Nashville. He served for two years as chair of the Texas Society of Architects (TxA) Convention Sponsorship Committee, where he revamped the sponsorship structure and more than doubled sponsorship revenues. While serving as the AIA Austin President in 2016, he reinvented the chapter’s role as an advocate for the design community and setting it on a firm financial footing. Last year, in 2017, his contributions were recognized by AIA Austin's John V. Nyfeler FAIA Award for Community Service and the James D. Pfluger Award for Community Service.